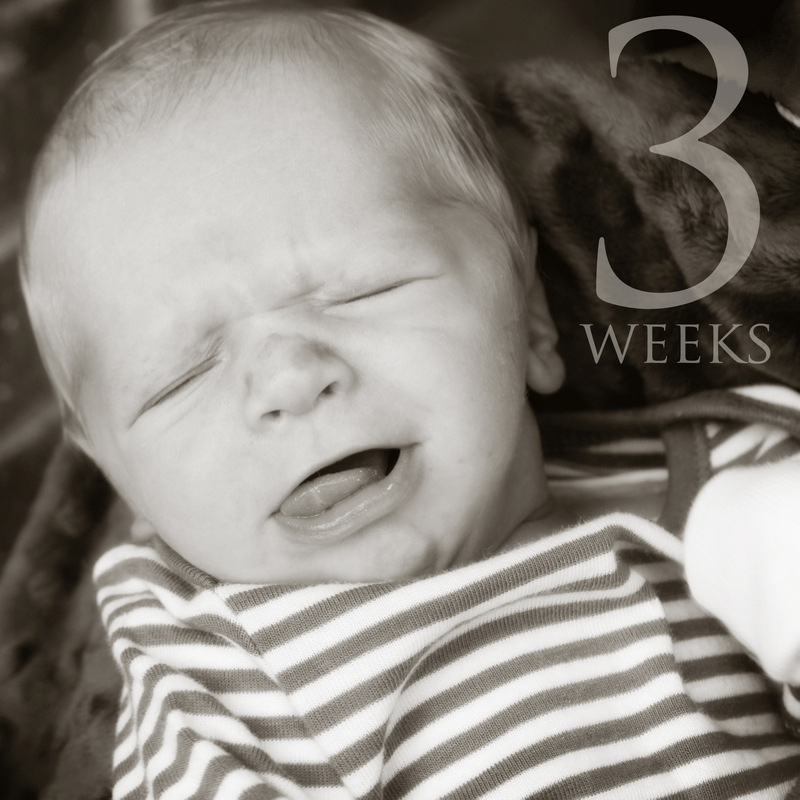 Though Scotland is a sweet baby, he does have his moments of crankiness. I’d be cranky too if I was shocked into mortality with gassy-pains and lots of noise. But we sure love him and hope he adjusts to our world soon (though I do hope his guardian angels stay close by for a long time). I’m so grateful for our newborn Scotland! We were so ready to go home on Monday, Labor Day. The nurses discharged us quickly and we eagerly headed off. The kids and Grandma were delighted to have us home. Everyone took turns holding and loving Scotland. 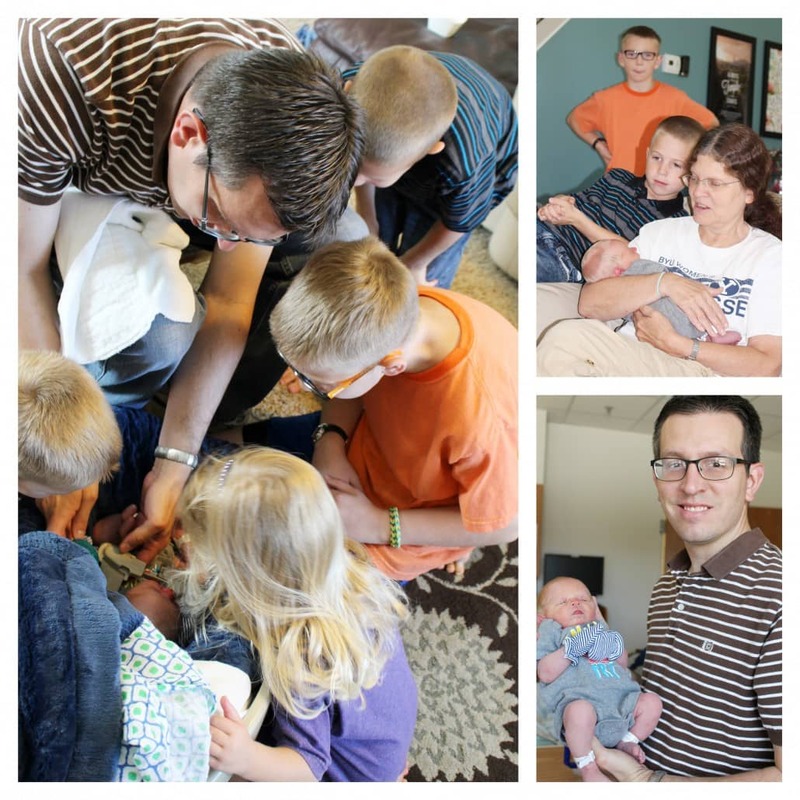 Now – to get into a new family routine with 6 kiddos! Aaaaah. I hope we survive. It’s a bit chaotic with lots of noise and kids who need mom and dad at the same time. Since being home I’ve tried to rest as much as I can. It’s harder to remember my pain meds (until my body is too achy) and drinking liquids… Every 4 hours = Norco. Every 8 hours = 3 Advil. Jimmy stayed home the first week to parent the littles so I could rest. My incision is doing splendidly. My neck is hurting like crazy (from sleeping on my back and turning my head on my pillow … at the hospital). The labetelol bp meds had super annoying side effects for me. My scalp tingling (ie… itching like bonkers) was the weirdest side effect. I had a weird headache at the top of my head (nurse claimed it was from high bp, but I’ve never had a headache from my bp). Plus, I was all shaky. So first thing Tuesday morning, Jimmy took me to Dr. Christensen to get me a normal bp medication that I knew I could handle. Phew! 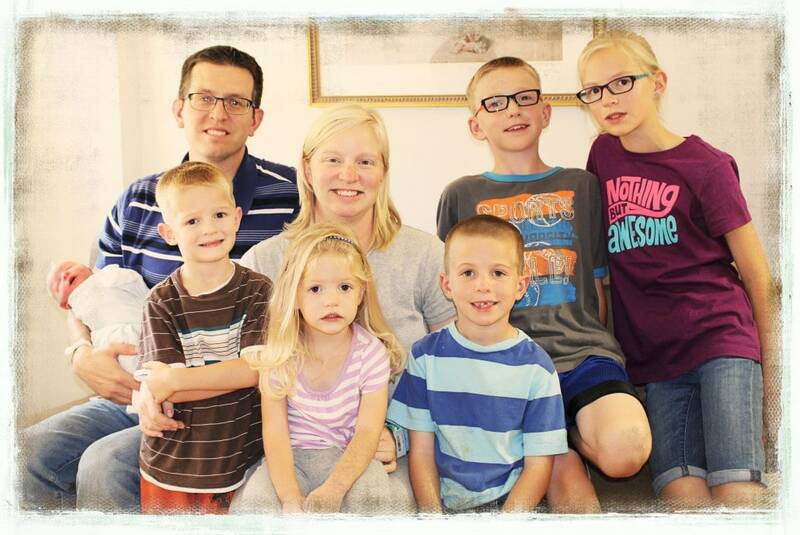 We’re glad to be home and settling in as a family of 8. Now – to purchase a vehicle that will fit us all! What to do?! 12-passenger van? Toyota Sequoia? 8-passenger Mini Van? https://www.jimmyandheather.com/wp-content/uploads/2013/10/200-x-100-logo.jpg 0 0 Heather https://www.jimmyandheather.com/wp-content/uploads/2013/10/200-x-100-logo.jpg Heather2014-09-06 14:45:032014-09-06 14:45:03Baby Scotty: Going Home! One thing I appreciated at the hospital was peace and quiet. Despite nurses coming in at all hours of the day, it was a different type of noise from what I’m used to at home. I didn’t turn the tv on (well, except when Jimmy watched the BYU game). I just enjoyed the silence. Even when baby Scotty was in my room, he still was a quiet little bug. I took the opportunity to rest and sleep and rest some more. When I came home from the hospital my poor hearing senses were on overload with all 5 kids talking to me at once. 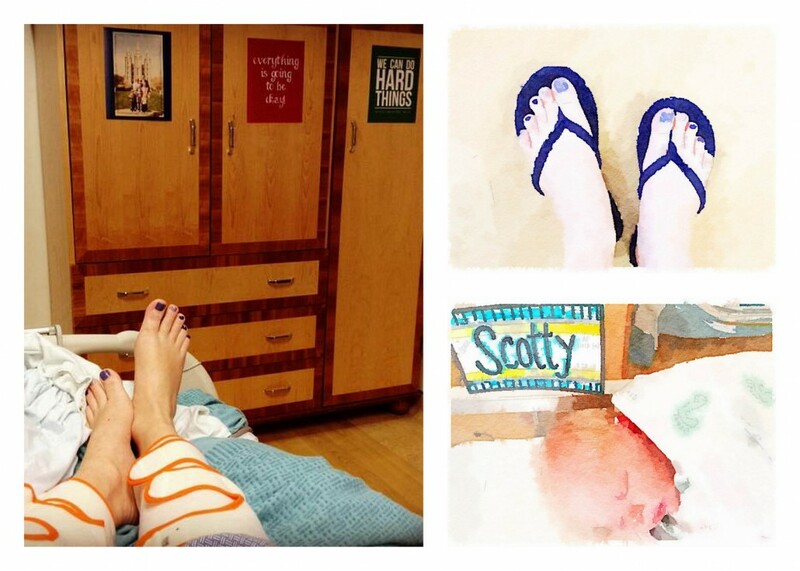 Kinda silly pictures… but the leg huggers & signs were my view most of my time at the hospital. Plus, I loved the plush flip-flops I found on clearance to wear at the hospital. They accompanied me on many walks around the 2nd floor to ease my digestion troubles associated with c-section woes. Boo-hoo. The other benefit to a longer hospital stay was time spent with Jimmy. He was able to be at the hospital a lot because his mom was home with the kiddos day/night. We had a dinner date. We watched a few movies on netflix. We shared chocolate chip cookies. The nurse brought us microwave popcorn in the pink barf bucket! Haha… at least it was clean. It was fun to get to be with him and Scotty. p.s. 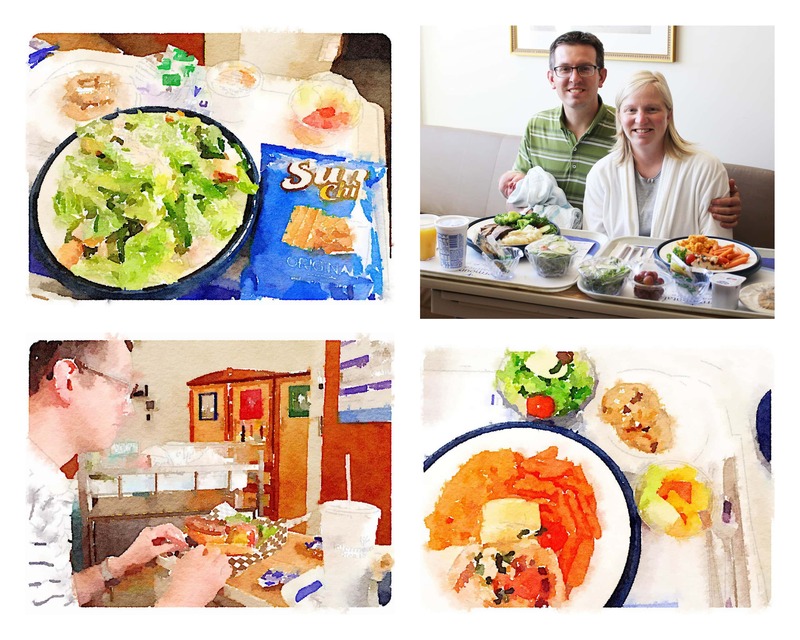 My favorite meals were salmon, mashed sweet potatoes, chocolate chip cookies, salad, fresh fruit. For lunch I liked the Chicken Caesar Salad. For breakfast I had breakfast potatoes with a blueberry muffin, a yogurt granola parfait, and fresh fruit. Tish & McKensie (left) were the first duo to watch over me on mother/baby floor. Super cheerful & fun to chat with. 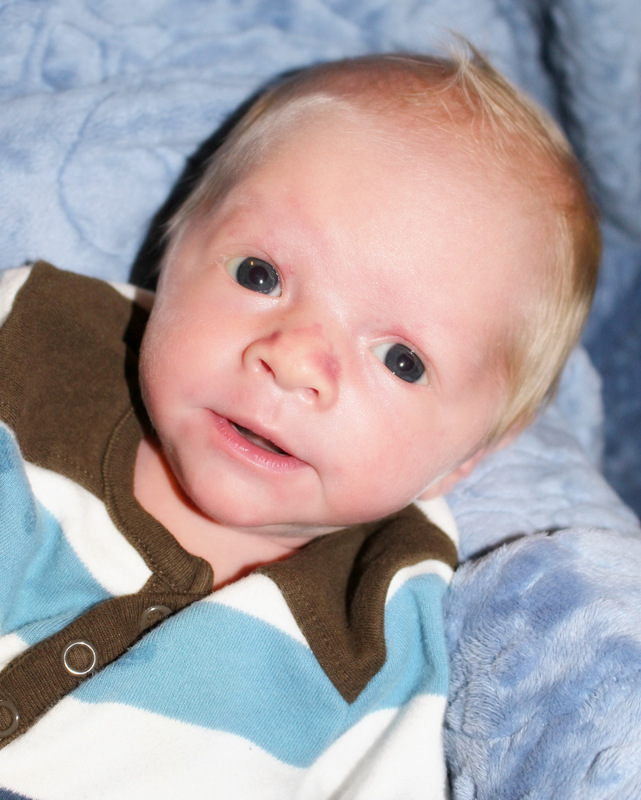 They loved Baby Scotty & his blonde hair! Scotty was holding his own bottle for Kensie. My night-time nurse for 2 nights was Kelly (not pictured). She loved the signs I had up in my room. She told me about her kids & especially about her son who liked/needed the We can do Hard things sign that she had up all over her house. I was so grateful that she was so nice about Scotty being in the nursery all night as she was the one who cared for him. As much as I love my babies, I know this mama needed the rest of a long night’s sleep (thank you ambien). It was so good to see Scotty in the morning & know Kelly loved him while I slept. p.s. that place called mother/baby hospital floor never sleeps. New babies in the middle of the night. Nurses who somehow stay awake all night. It’s amazing! Jeana brought me the belly binder (bless her for that!!). Such a helpful device for compressing excess gas & holding incision tightly for comfort. 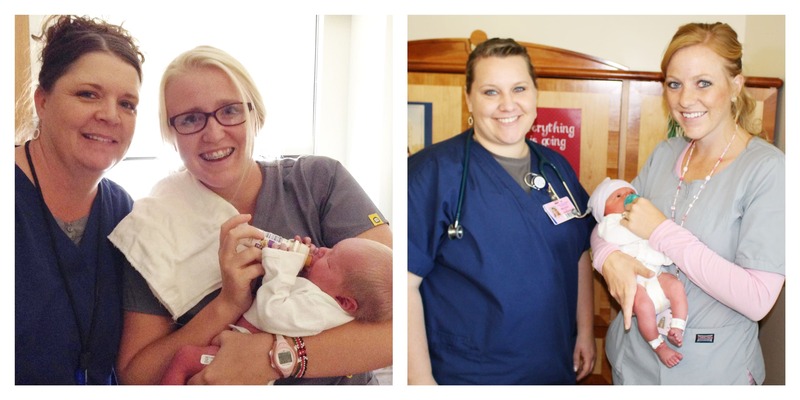 Hollie was the c-section nurse. She endured lots of nervous chatter from me. 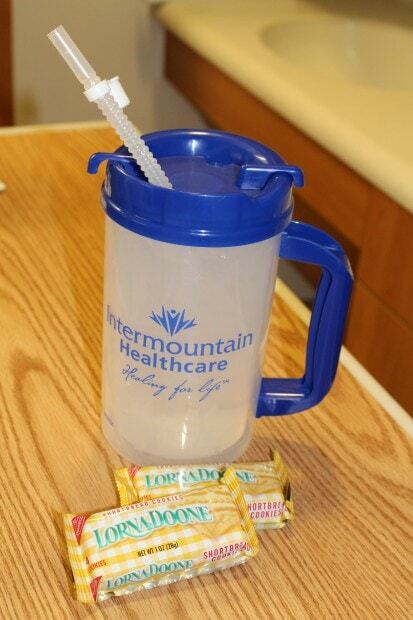 Thank you nurses & aides who kept me going & who kept those pain meds, pellet ice, juice, & snacks coming!! p.s. Lorna Doone’s are a bit highlight of the hospital stay. They just don’t taste as good anywhere else. They are the perfect eats to accompany pain meds so there is no stomach upset. This time I was also a fan of cran-grape juice with loads of ice in it. I am so grateful for each of my children. Each has such great strengths and talents to contribute to our family. It’s interesting to see how everyone interacts (sometimes it’s tricky to get along … sometimes they make it work!). We’re all figuring out the family relationships thing… none of us are perfect, but we’re working on LOVE at home and having the Spirit as a constant companion to bring PEACE. Having Scotty in our home is such a blessing. 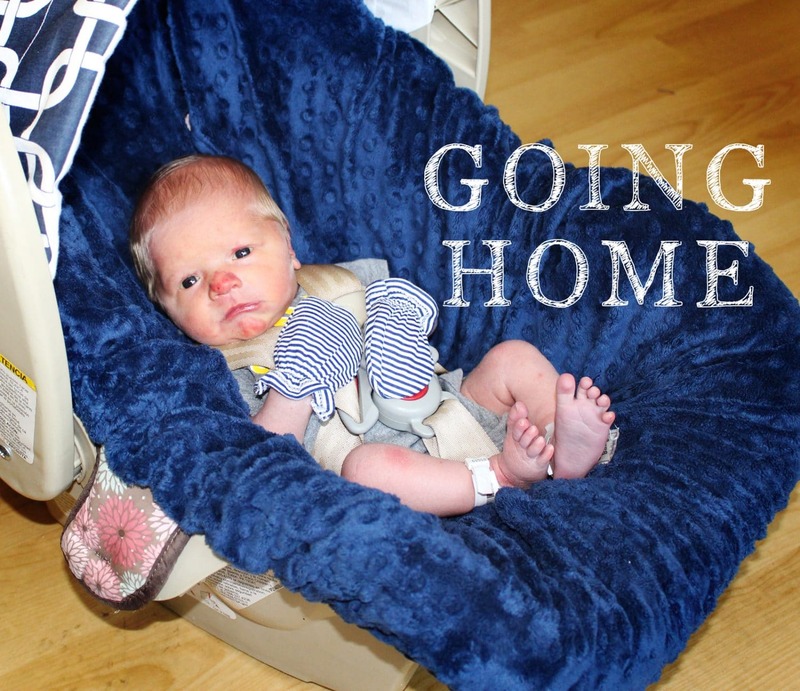 We’re excited to see his little personality develop as we get to know him better. Our kids came on Thursday, Friday, and Saturday to visit. I know it was hard on Jimmy to drive home, pick up the fam, bring them to the hospital, drive them home, and then often would come back to spend the evening with me and Scotty. But I was so glad to see them. And they were so glad to see Scotty. The kids sincere expressions indicated they were delighted to hold such a little one. Grandma Smith & Uncle John came to visit on Thursday night. Grandma & Grandpa Price came on Friday and on Sunday. I loved having them come. 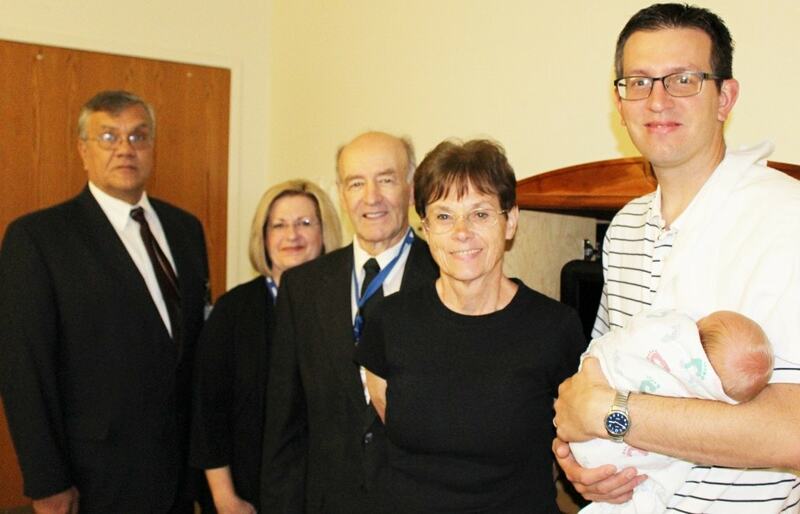 It’s so neat to have grandparents meet a new little one. My friend Cheri Sharp came to visit. So fun to chat with a friend. She was so sweet about baby boy Scotty. I was so grateful for those who called or texted their greetings and thoughts. It’s nice to be cared about. Friday 29th: Scotty has low blood glucose. They monitored and fed frequently to keep his #s up. Saturday: Breathing is doing great. Blood glucose is great. Passed hearing test. Bilirubin levels are fine. Still not crying… a quiet little soul. Sunday: Was a rough day for mama. Post Baby Hormones crept in and I was feeling emotional. We hoped to be able to go home a day early and surprise the kids when they got home from church. But my blood pressure was too high and they wanted me to start meds and watch me for another day. So I got my hopes up… and then I cried. Jimmy arrived Sunday morning and within a few minutes these 4 Brothers & Sisters knocked on the door asking if we wanted to partake of the sacrament. So neat! They broke 2 little bites of bread, blessed it, and we ate. Then they squirted some water into little cups, blessed it, and we drank. It really was so sweet to participate in that sacred ordinance in a different setting… something humbling about it. No hymns… no sacrament meeting talks… just the most important Sabbath ordinance. I love that! Baby Scotty had a good day! He slept. He ate. He pooped. 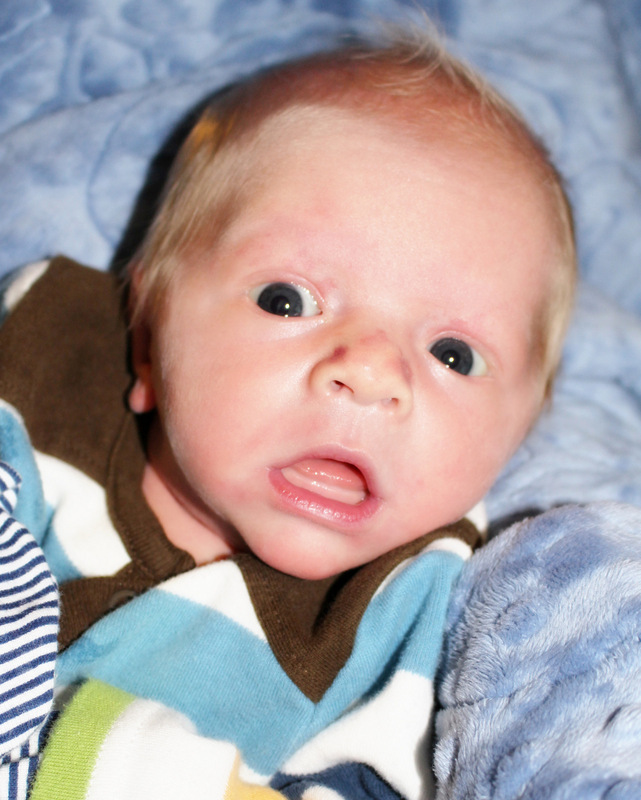 He burped. He occasionally opened his eyes. And he received lots of loves from a mama and papa. Jimmy was with baby in the nursery and I was wheeled into recovery (see that lovely view). A spoonful of ice is like heaven after no water for 11 hours. I was actually feeling pretty well though tired. Major surgery is hard on a body! I called my parents to let them know babe was here and doing well. I was glad I lived through the c-section and was finished and heading into the long recovery. Horrible picture… but hey – it’s all part of the story. 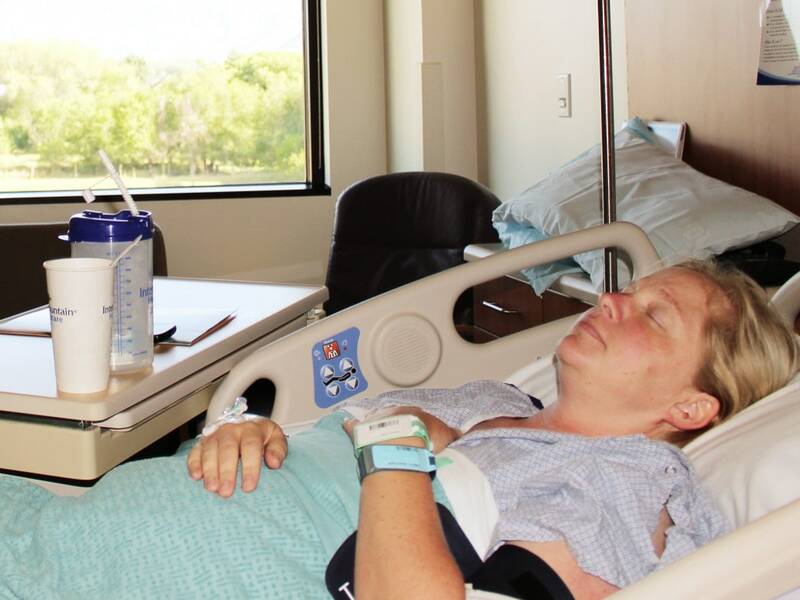 Overall, I felt SO VERY BLESSED while I was resting in recovery. 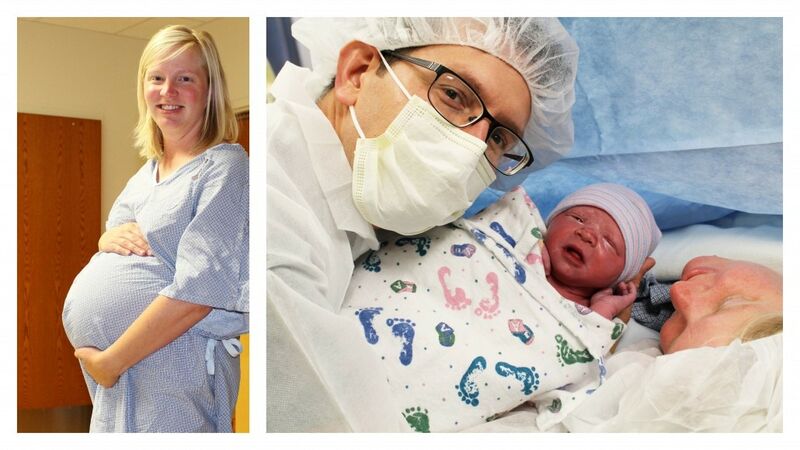 So blessed that the c-section wasn’t as hard as I dreaded. So blessed that the Spinal didn’t pinch as much as it could have. So blessed that I didn’t barf during surgery. So blessed that baby was doing okay. So blessed that my blood pressure had hung in there til this point. 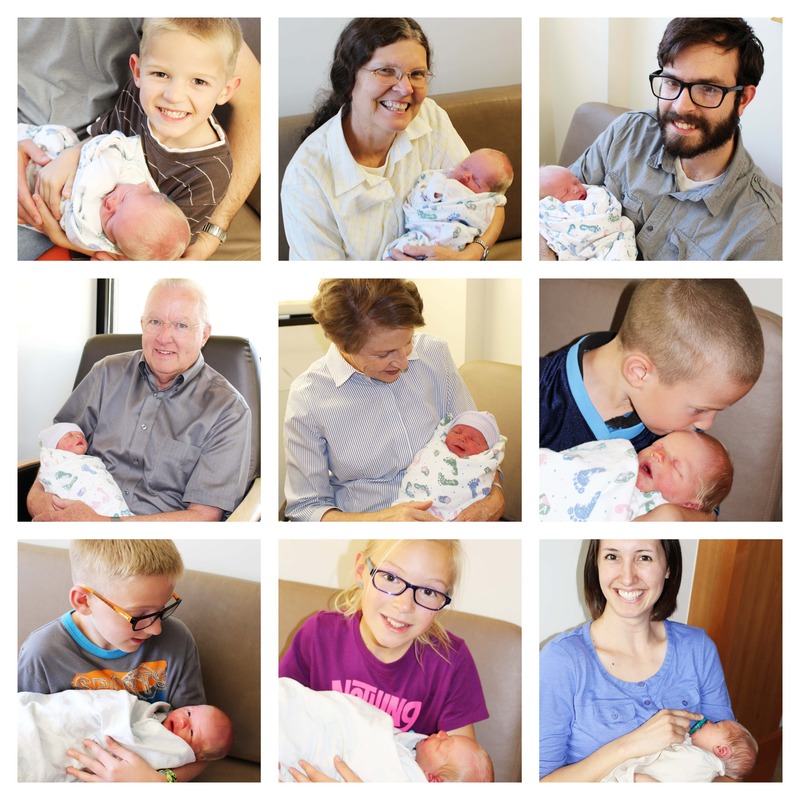 So blessed to have grandma smith watching over and loving the other 5 tots at home. So blessed to have Jimmy who was so supportive and understanding. So blessed to have so many praying for us – I BELIEVE IN THE POWER OF FAITH AND PRAYER. So blessed to experience the Miracle of Life and creation. God watches over us. When Jimmy was in the nursery with baby, he was trying to decide what names fit his appearance. He agreed that Scotland was a good match. Then he thought he also looked like a Charles. So after a little discussion, we settled on Scotland Charles Smith. We picked Scotland because Jimmy has so many Scottish ancestors. I have 2 or 3 from Scotland with very interesting life stories. We did a bit of family history research and had the kids learn about ancestors this summer. 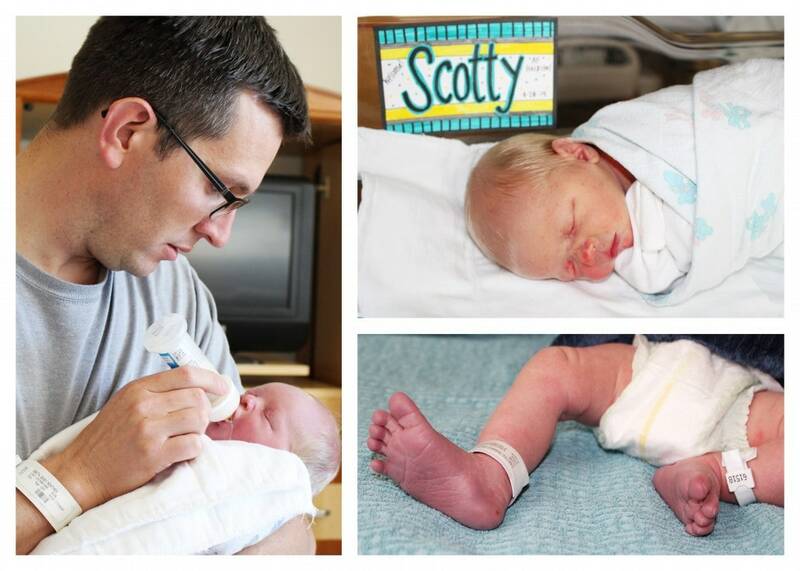 We liked Scotty for him as a little tot… and knew he could go by Scot when he got older. Charles is a family name on the Price & Longmore family lines. Jimmy has a good friend Charles Hobbs whom we admire, so we thought Charles was a good solid name. Plus, Jimmy always says, “Sorry Charlie” to the kids and they say, “My name’s not Charlie!” He’s glad he can finally say that to our little Scotland Charles! Jimmy spent time with Scotty and came to see how I was doing. I was moved into my mother/baby room (right by the front desk! My favorite! Not! But I guess they put c-section gals close to the nurses so they can be watched over.) I was hoping for a mountain/temple view room but we ended up on the other side so we got to see the hospital roof. I got to hold Scotty about 11 a.m. I am always so shaky and weak after a c-section but it’s so good to take a lookie at our brand-new little one. So blessed! We arrived at American Fork Hospital at 6:15… for a 7:30 surgery time. Started on i.v. and was asked a million questions. Beautiful gown… and bouffant. Lots and lots of nerves (which means I talk and talk and talk and ask spastic questions). Conversed with Dr. Bean & Nurse Anesthetist Brent. And off we went to the surgery room. Lots of nausea… thanks Brent for filling my i.v. with something that helped that go away right as they started cutting (zofran… plus something to raise blood pressure). Lots of scar tissue to get through. 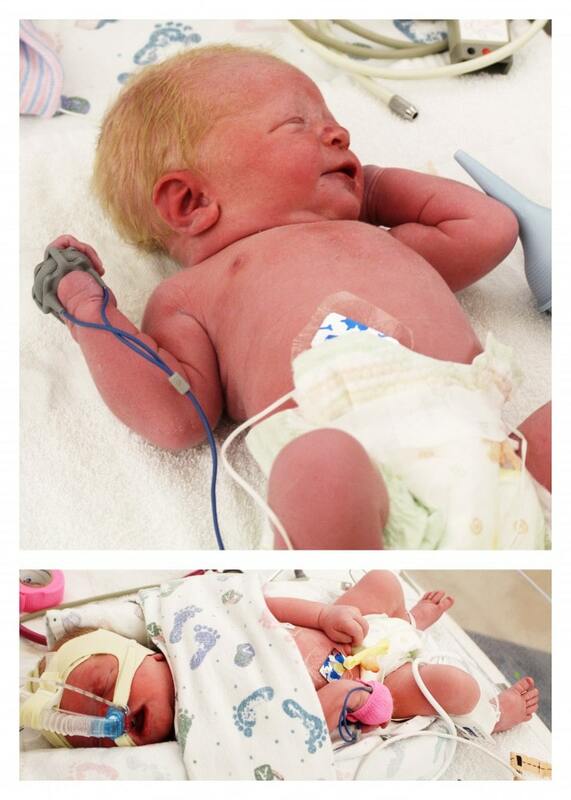 Six c-sections will produce much scar tissue! Jimmy sees a tiny baby hand and out he came at 8:12 a.m. Mom didn’t hear many cries. Nurses worked on him to get him crying. He was breathing… just not crying. 6 lbs 11 oz. Quickie picture (see how purple he is!) and off they whisked him to the nursery to get baby pink and healthy. Lots of stitching left for mom as dad accompanied babe to nursery. Did you know they take your uterus out and set it on your belly while they stitch it up. Craziness! Dr. Bean was telling funny stories and making everyone laugh. Took a while to stitch up and get rid of some scar tissue… but incision came out quite clean, rip-proof (meaning – it endured all my coughing for days after), and leak-proof. Nice work Docs! Interesting points to this picture… Nurses working on babe who was 6 minutes old according to clock. 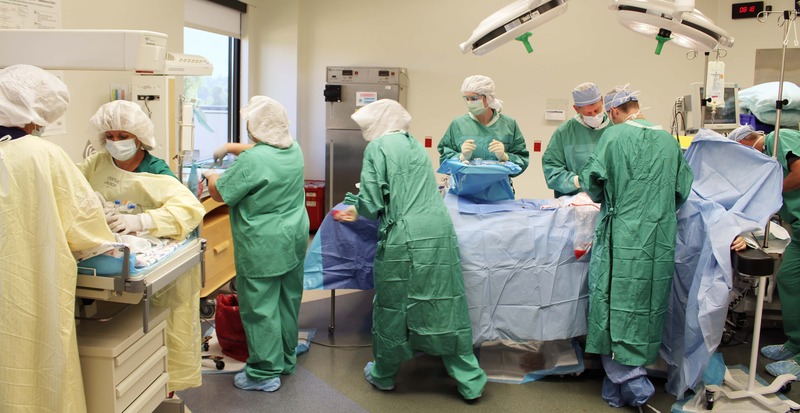 Surgical nurses cleaning up bloody rags. Docs stitching me up. See the bag of blood. Ick. My hand hanging outside the blue sheet. No – I’m not dead. Brent by my head making sure I’m doing okay. He watched over me so well. Bless you! So grateful to be finished with c-sections!! Now it’s time to love that cute newborn!